What is Airtel Smartbytes? Have you ever used Airtel Smartbytes service? Have you ever experienced the no internet connection or low-speed internet connection during your billing cycle? Why does this happen? Because most of the times your data usage exceeds the limit of your data plan? 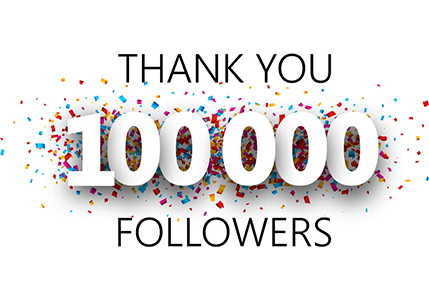 If this happens to you, then you are also one of those millions of people who are not checking their broadband internet data usage. I always recommend you to keep an eye on your data usage during the month to know when you are consuming the maximum data. Airtel is the most prominent broadband service provider in India other than BSNL broadband. It is a reliable brand that allows you to check your internet data usage. There is no rocket science to monitor your monthly Airtel broadband data usage. Airtel Smartbyets is introduced by Airtel to help you efficiently manage your internet data usage. With the help of Airtel Smartbytes, you can quickly check how much data you have used till now and how many days are remaining for next bill cycle. You can use Airtel Smartbytes to set up the daily usage limit to avoid consuming all the data before the last date of bill cycle. You will be getting the notification about your data usage. It will help you to keep your usage within the limits of your broadband plan. How to can I check the Airtel Broadband Internet Data Usage with Airtel Smartbytes? 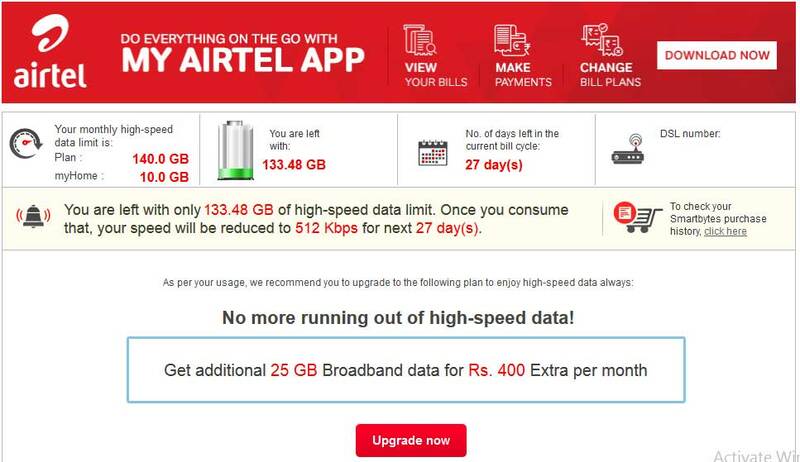 How can I check Airtel broadband data usage? How to check high-speed data transfer limit of my broadband plan? How to know the remaining data left in my broadband plan? As I said, there is no rocket science. Checking airtel broadband data usage with smartbytes is straightforward. 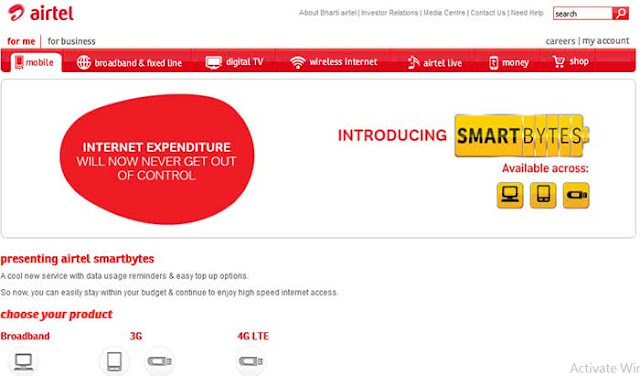 All you need to do is, visit this page http://www.airtel.in/smartbyte-s/page.html. The beauty of Airtel smartbytes is that it will display the data plan, usage, and limit without requiring signup or login. You need to connect your computer/laptop with Airtel broadband or wifi service and visit this page. You will find all the data usage details in the broadband menu. It will also show you the latest offer for you to upgrade your plan or to buy additional high-speed data. When you know, how you are consuming the data and how much data is left then you can set the limit and consume remaining internet data wisely or upgrade your broadband plan.